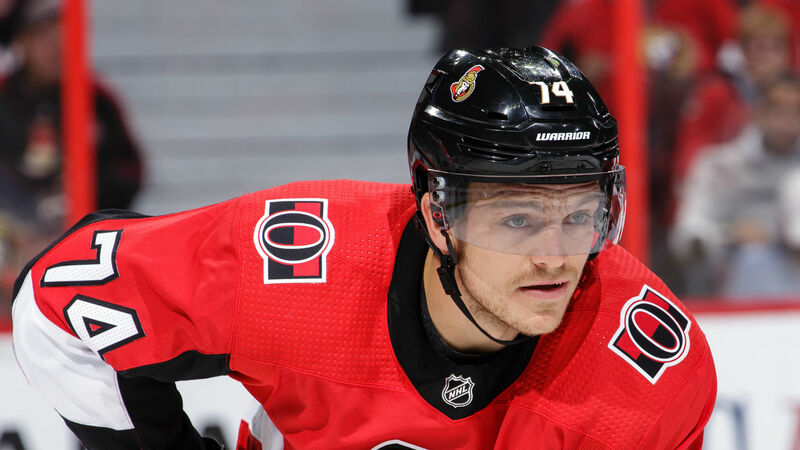 In the case of Ottawa Senators defenseman Mark Borowiecki, it’s a case of a lesson NOT learned. In his first contest back following a one-game suspension for elbowing Boston’s Urho Vaakanainen, Borowiecki drilled Vegas Golden Knights forward Cody Eakin Sunday with a head shot and earned another suspension from the NHL’s Department of Player Safety on Monday. This time Borowiecki will miss three games for his latest indiscretion. Another hit and maybe another suspension for Mark Borowiecki. Borowiecki lasted five shifts worth 3:25 of ice-time before being thrown out of Sunday’s game in Vegas. He received a five minute charging major and game miscounduct for the hit on Eakin at 15:29 of the first period. Borowiecki also was assessed a five-minute fighting major when challenged by Eakin’s teammate Jon Merrill. Gallant did not have an update on Eakin’s condition on Sunday. Eakin did not return to the game after the hit. Just last week, the Department of Player Safety suspended Borowiecki for his unpenalized elbow on Vaakanainen. The 29-year-old veteran has 526 penalty minutes over 278 career NHL games, yet had never been suspended prior to this season. Who is Kate Rose? Masters 2018 golf star Justin Rose’s wife and how many children do they have?